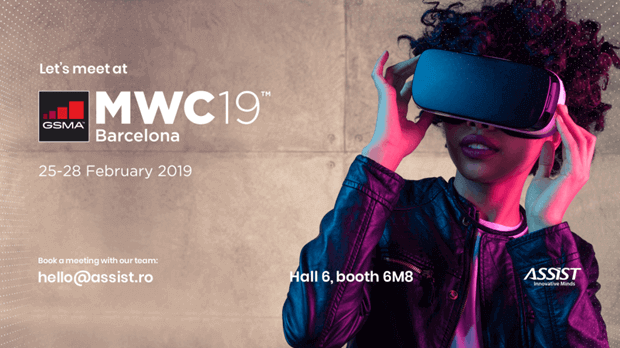 For the second time in a row, ASSIST Software will be attending the Mobile World Congress in Barcelona. This event is the world’s largest exhibition for the mobile industry and this year it will take place from the 25th to the 28th of February 2019. The distinguished event will host a large variety of conferences, seminars and partner programmes dedicated to companies and professionals in the mobile technology industry. The event will also offer a number of networking events including pre-arranged one-to-one meetings in order to explore and discover new cooperation opportunities. During this event, ASSIST Software’s representatives will showcase the entire range of software outsourcing services we provide, including our custom mobile business applications and successful projects. The company is dynamic, progressive and eager to embrace new technologies. ASSIST Software has a variety of project roles including software engineers, QA engineers, project managers, business analysts, solution architects, designers, and DevOps engineers. The company takes pride in delivering high-quality services to our clients around the world. ASSIST Software are experts in custom software development: back-end web development, mobile, 3D applications, gaming, AR/VR, artificial intelligence & machine learning, blockchain/distributed-ledger technology, and cloud.